Price: $29.95 Our sale continues: just $20. Additional discount of 20% off 3 or more. See our order information page. Or see “Where Else to Buy,” below. 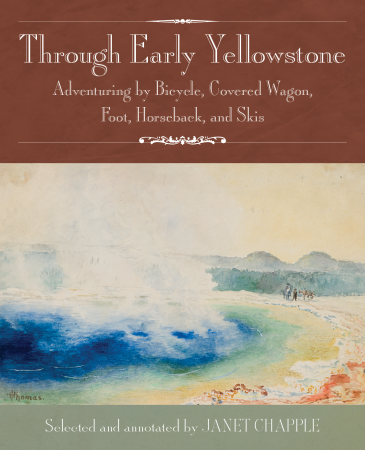 A beautiful anthology of stories about travel to Yellowstone from 1871, just before the park was set aside, until the time when autos were allowed into the park in 1916. Accompanied by newly discovered nineteenth-century art and maps both historic and modern. The writers include Ray Stannard Baker, Anne Bosworth Greene, Elwood (“Billy”) Hofer, Nathaniel P. Langford, and Frank D. Lenz. 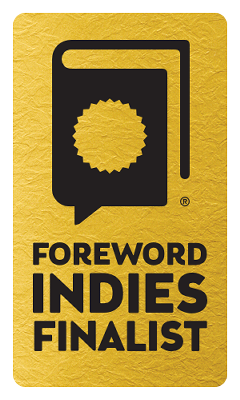 2016 Foreword INDIES Book of the Year Award Honorable Mention in Travel and Finalist in Adventure & Recreation! Careful selection. Janet Chapple, author of Yellowstone Treasures, shares her love of the park again with the top 11 previously published stories from the 250 documents she unearthed in a decade of research into early Yellowstone history. Professional editing. Veteran editor Beth Chapple helped to shape the anthology to follow how the park changed from elite experience to mass tourist destination. Beth cut out three long pieces and encouraged Janet to include the New York Times article about horsewoman Alice Morris and the story by the covered-wagon-driving mother of seven, Nellie Corthell. Entertainment. The 1870 expeditioner Langford revels in the discovery of each new geyser and extricates his pack horse from difficult situations; Billy Hofer, an expert ski guide, marvels at frost formations and deep snow; journalist Baker critiques the other tourists while artist Blumenstein sketches them; and artist Greene recounts her adventures in painting and in riding a horse named Blue with a cowboy at night. Originality. The 26 watercolor sketches by Thomas H. Thomas have never before been seen outside of Wales, let alone published in a book. Most of the selections are difficult to access elsewhere for off-screen reading. The writers were true adventurers and some, particularly Lenz on his bicycle and Henderson on foot, were impressive athletes as well. Poems and other short excerpts add to the reader’s experience, giving the flavor of the times. High production values. We invested in professional page and cover design and Forest Stewardship Council (FSC) certified art paper. Reader friendliness. Janet corrects geographical details and explains the references nineteenth-century writers liked to pepper their writing with. These explanations appear in boxes throughout the text, and names are discussed at the end. We added a thorough index and complete bibliography to encourage further exploration. You can buy the book from the Montana Historical Society store (members get a 15% discount! ), Barnes & Noble, Amazon.com , or an independent bookseller near you.